2017 is here and the first month has already witnessed some defining moments of history. Donald Trump is now the President of the USA, Theresa May has declared Britain’s exit strategy from the European Union and a year of shifts and political shaking seems to be emerging. At least 15 European nations have their governmental elections in 2017– including the Netherlands and Northern Ireland (March), France (April) and Germany (September) with the possibility of an early election in Italy as well. So a year of change is here. 2017 has been called the YEAR of BREAKTHROUGH by the prophetic round table in the USA and their statement makes interesting reading (https://www.generals.org/articles/single/word-of-the-lord-for-2017/) So how should we respond? Colossians 4:2 says, “Devote yourselves to prayer with an alert mind and a thankful heart”. As I asked God what are the keys to knowing success both in our personal and global worlds this year, I felt this scripture begin to burn in my heart. God is giving us a strategy for a fulfilled life in 2017: we need to have a prayerful spirit, an alert mind, and a thankful heart. Already this year Heartcry has been travelling! But first on New Year’s Day, I had the privilege to speak at KingsGate Church, Peterborough, on the Radical Life – you can listen to the message here. This year January 1st was a Sunday and I enjoyed being in church on this first day of the new year and sensing God’s heart for our lives. It is also wonderful to watch people come and give their lives to God with tears rolling down their faces. So precious – and a great first day for 2017. 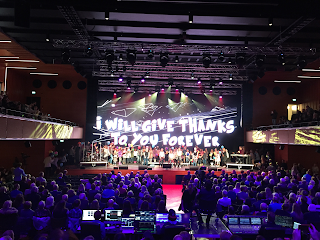 But it was a quick turnaround and back to the airport to fly to Kristiansand, Norway, for the opening of the Q42 Building, the Jesus Centre. It was so special to be there at the launch of this new centre which incorporates a church, conference facility, day care centre for elderly people, rehab for drug and alcohol dependent people as well as a hotel, cafe and restaurant! This has been a long-term dream of Filadelfia Church and in so many ways a dream come true. 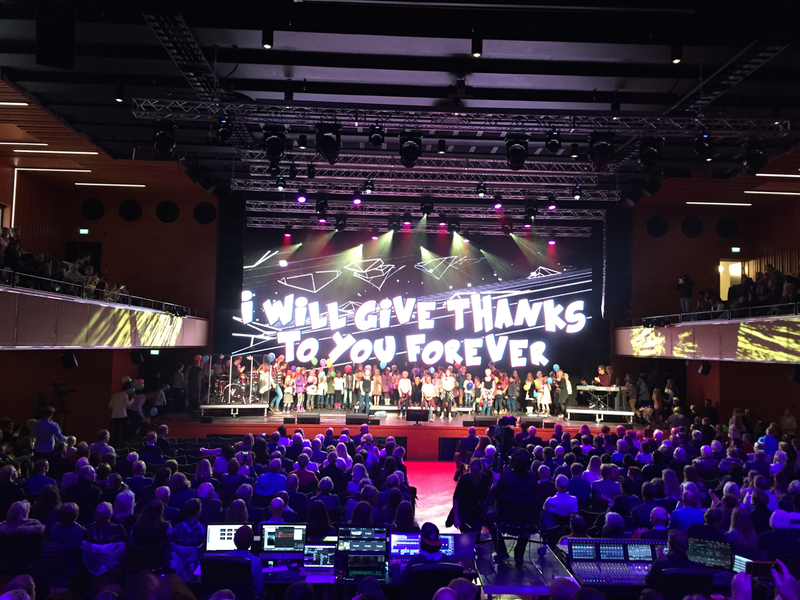 But as we dedicated the building to God and rehearsed the story of His faithfulness to them, not least in enabling them to open a £60 million project virtually debt-free (! ), we were struck by the fact that they are standing at the starting line of something unique – the best is yet to come! This month we have also taken time to invest in relationships for the coming year. Our Oxford mentors group met and had an evening of prayer and encouragement. We have spent different days praying and asking God to speak to us about our London strategy, our Moldova strategy, our Heartcry ministry schedule. These times have been crucial as we sense this is a time to be clear on vision and strategic with purpose. We have met together as Trustees and advisors to review the last year and ask God to clarify the next steps. It has also been a month of continuing to invest in people’s lives and each of us has spent evenings training in marriage preparation, helping friends through grief, and encouraging leaders to press forward. Helen has again been to SWYM where she taught and inputted the next generation of youth workers in the South West region of the UK, spending two days exploring the gifts and fruit of the Holy Spirit. Gordon has been in Switzerland as a Ski Chaplain in Verbier with so many evangelistic opportunities. He took Jim Ware from the NDHOP (North Devon House of Prayer) with him for the first weekend and people were deeply touched in the Sunday service. I had the privilege of preaching at Walsall Christian Centre and was so encouraged when the leaders later explained that the message was a direct continuation of their vision for the church in 2017, using the same language and emphasis. So already in this month Heartcry has been to Norway, Switzerland, the UK and N. Ireland where Helen spoke at the Portadown Elim women’s conference. While Gordon and Helen were elsewhere ministering I had the privilege of attending the Christian Inaugural Gala and the Inaugural ceremony for Donald Trump and Mike Pence in Washington D.C.on the 19th and 20th January. As many of you are aware Heartcry has taken time over the last 10 years to regularly pray for both London and Washington D.C. God has laid these two amazing capital cities on our heart and we have grown to love them. So when we were invited to attend the official inaugural events it felt right to go. It is such a strategic time in history and it is time to build and plant God’s word into our land and governments. 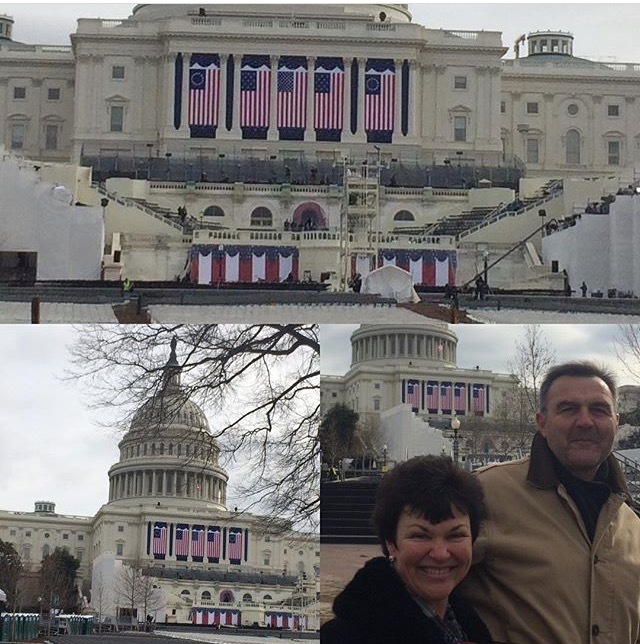 It was a real joy to be able to attend with my brother, Duncan, and pray for America and the new 45th President of the Unites States as he took his vow of office. With the year well and truly underway, we look forward to connecting with many of you in the nations. We will be in Italy in February as well as several cities in the UK. 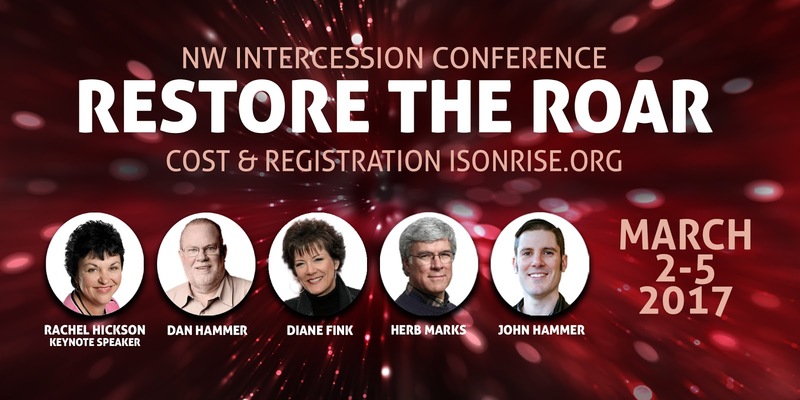 For those of you on the west coast USA, we would love to commend to you the “Restore the Roar” NW Intercession Conference at Sonrise Christian Center in Everett, WA, 2-5 March. 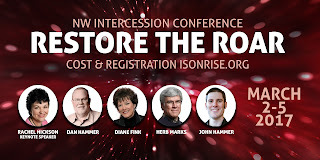 Early bird bookings are open now so join us as we take hold of the opportunity of this new day for the USA and let’s continue to stand as watchmen on the walls in prayer.